KAMPALA – The inquiry into the closure of seven commercial banks being conducted by the Committee on Commissions, Statutory Authorities and State Enterprises (COSASE) came to an abrupt end on Friday following the failure by former Bank of Uganda Executive Director for Supervision, Justine Bagyenda failing to show up at the hearing. Ms Bagyenda, who failed to turn up as a witness, sent a note to the committee indicating that she was flying out of the country to attend to some engagements that she had confirmed before the summons to appear before COSASE. 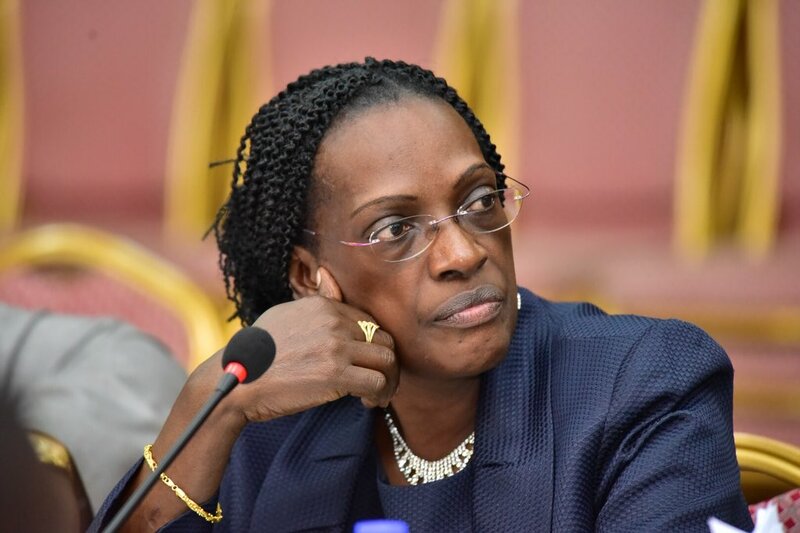 Ms Bagyenda and Mr Benedict Ssekabira, the director of Financial Markets Development Coordination, were to present evidence of reports on how the value of assets of three closed commercial banks assessed so far, was reduced from Shs117b to Shs98b after the Central Bank took over the liquidation. Cosase Chairman Abdu Katuntu on Thursday adjourned proceedings to Friday, after both Mr Sekabira and Ms Bagyenda failed to present evidence of submission of reports to the Governor Tumusiime Mutebile and appointment letters for Mr. Sekabira as demanded by Committee vice chairperson Ms Anita Among. 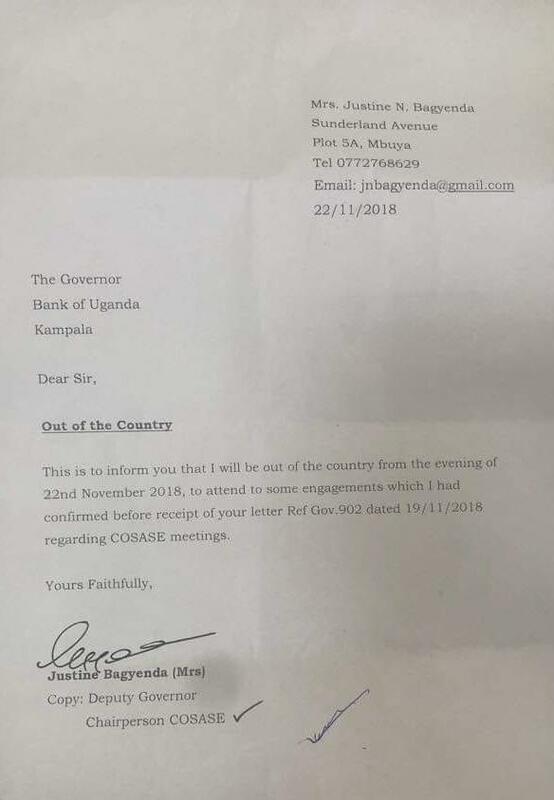 Ms Bagyenda’s letter on Friday fell short of revealing the country she had headed to, neither did the letter give details on when she is expected back into the country to face the probe. The contents of the letter angered the MPs, like Iganga Municipality MP, Paul Mugema pointed out that it had become a common habit among civil servants to run away from probes, pointing out Jonathan Baronza, and Siraje Bakaleke whose whereabouts aren’t known. 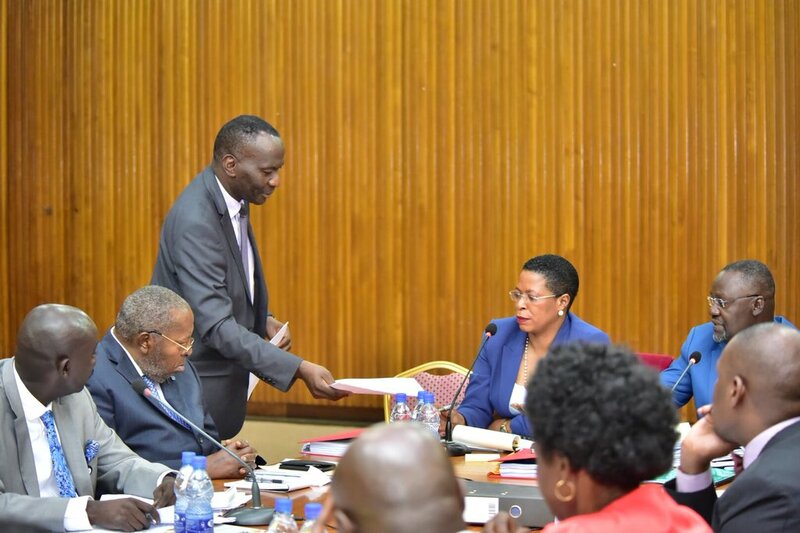 Vincent Woboya (Budadiri East MP) said that there is need to have Bagyenda produced before Parliament because there is a possibility she sneaked out with some documents and therefore, there is need to have these documents searched for and brought to Parliament. Mwijukye chipped in with another dossier saying reports indicate that Bagyenda entered Bank of Uganda and picked some documents on Sunday and that security had written to the Governor to that effect. Former Works Minister, Abraham Byandala said there was no way the Committee was going to accept people to abuse rules of Parliament as well as the Constitution, adding that Police has to be notified of Bagyenda’s fleeing warning that if this isn’t done, then Parliament risks creating more defiant figures like Bagyenda at Uganda’s Central Bank.